In an earlier blog, I have spoken about how studying abroad shapes a person’s destiny. In this one I will speak about alumni “giving back” to their institution. 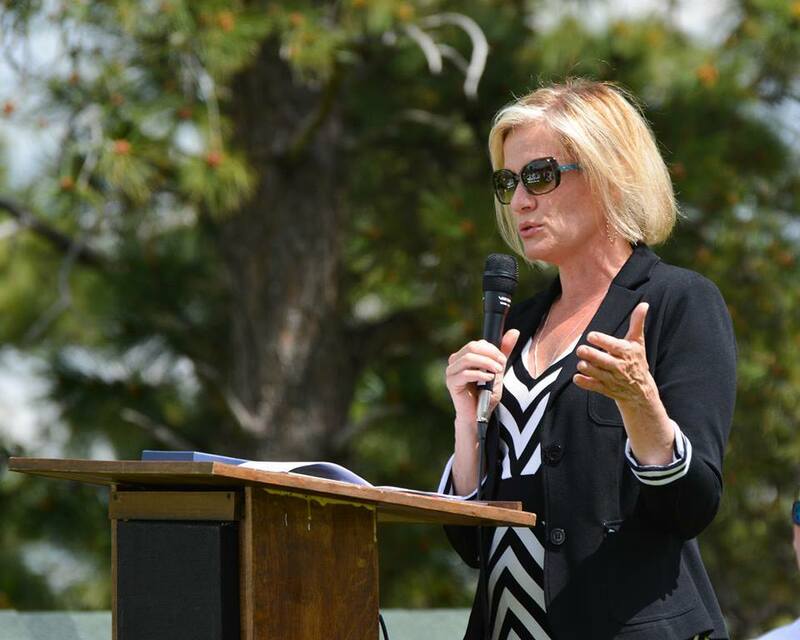 I will speak with specific reference to student athletes, because they are a group that is close to my heart and to what we do at the HAT FUND. Just as there are students who go abroad to pursue higher academic learning, there are student athletes who also go overseas to improve their game; it is critical for them to continue to maintain physical fitness and remain competitive even while pursuing academics away from the comfort-zone of home environs. When a student has studied or an athlete has trained overseas, the intercultural benefits remain instilled in the person even long after returning to his/her home country. Athletes develop a special affinity too for the institution where they have learnt and improved their game. Therefore, when they have returned to their home country, they would make excellent ambassadors for the institution. When alumni give back, they do so for several reasons — such as self-esteem (it feels good to be known as a donor), or it could be to make a difference in the lives of others, or simply to recognize the role the training institution has played in their personal growth. Giving back is the truest measure of loyalty to one’s alma mater. Institutions that have provided the highest level of personal development to their students and those that have provided the warmest environment for strong friendships to develop amongst classmates will most naturally and easily attract the highest level of loyalty from their alumni. Though it may appear that big stars of sports live in the stratosphere surrounded by riches, it can be said that innumerable sports persons who have made it to the big leagues have very humble origins and never forget the early struggles to overcome the hardships and hurdles they have grown up with. The “giving-back” can take several forms. Some athletes make a financial contribution; some encourage other promising athletes to also enroll in the same institution, yet others travel back to the institution regularly to share experience and advice with younger athletes. I am happy and proud to relate some examples from right here at HAT where we are driven by the zeal that no talent should be wasted. Eric Kwiatkowski Alumni Eric chose to give back to HAT by returning as a student coach. He trains and inspires other students by relating his personal experiences on how training ethics have benefited him. He does not forget that when he joined HAT, he had no tournament experience and no ranking during his sophomore year of High School yet within 3 short years his national rankings skyrocketed to the top 400 and it earned him a D2 scholarship. Trace Collins Since graduating from HAT Academy in 2015, Trace has returned several times to help the next generation of tennis students by sharing his life experiences with them. When he joined HAT as an 8th grader he was fighting to overcome health issues that were standing in the way of his becoming the player he aspired to be; with sheer perseverance he successfully fought his way up. He now returns as an inspirational role model. Zoe Scandallis Zoe gives back to the HAT community by always taking time off from her busy schedule to either write inspirational emails or to engage in phone conversations or to participate in online town halls patiently responding to questions from anxious parents and eager players. Zoe enrolled in HAT’s visitor program in 2009 when she was still in High School but with the dream of playing at the University of Southern California. Her outstanding play earned her a full scholarship to USC and she went on to play #1 singles during her 4 years at college. John Lutaaya No examples of HF alumni giving back to their alma mater would ever be complete without mentioning the example of John Lutaaya. While his association with tennis started with simply being a ball-boy in a tennis club in Kampala, he eventually rose to be ranked #3 in singles and #1 in doubles for 3 consecutive years (ITF, East Africa U-12). John is now returning to Kampala, Uganda and has accepted our offer to serve as HAT Fund’s Ambassador to Africa. By accepting this role, John has fully acknowledged and recognized the part played in his personal development throughout his life by several of his benefactors but none more so than HAT. As a son of single parent impoverished family in the slums of Kampala, Uganda, right from his childhood, John was never sure where his next meal or the funds to pay for his education or the money to pay for his tennis would come from. That was the case for John until HAT Fund stepped in to assist with his travel, his visa, his tennis lessons and his living expenses while training and studying in the US. I will quote John’s description of his feelings about his time spent at the HAT Academy — “It is always more than tennis at HAT because I even learn stuff outside tennis and this creates success both off and on the court”. Some choose to give back in a manner that can be described as an institutional way — they create a network through which they promote financial literacy. This is of immense help to younger athletes who, on their way up, may fritter away their earnings and thus lose their way. Financial literacy is, however, not about managing personal finances and wealth alone but is also about being aware of the benefits of philanthropy. To continue their engagement, athletes, upon returning home after achieving personal and professional success, may like to establish training centers similar to the one to whom they owe their success. They reconnect with their former institution and seek collaboration to create similar facilities and implement similar training-management and business models. They can stretch the reconnect even further by choosing the same brand name (with appropriate permissions). As a professional coach, there isn’t a payback that is richer to receive than to have a student athlete return to us filled with eagerness to give back to our Institution. The 1st ever HAT Annual Charity Event. Starting this week, every Monday we will be giving the spotlight to one of our Staff members who, inch by inch gives their full support to our organization. They will also be sharing their experience among the younger generations. 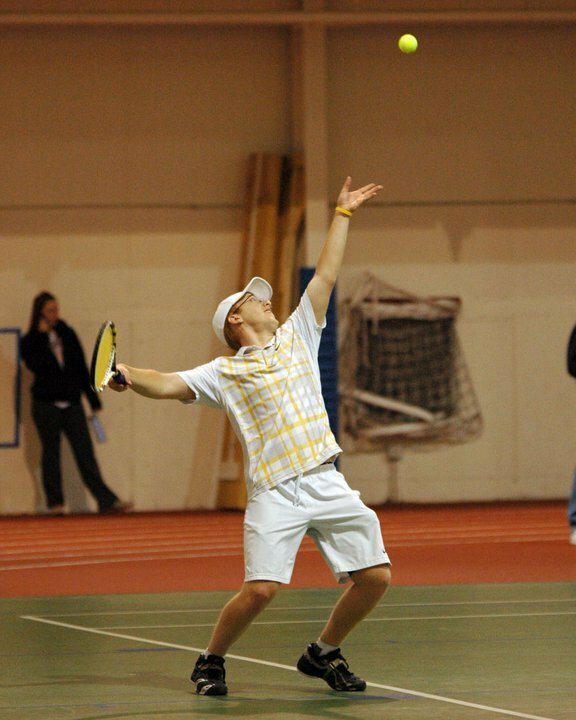 This week we are highlighting the profile of Brian Lindberg – HAT Tennis Teaching Professional. Brian Lindberg is originally from Colorado and started playing tennis at the age of 5 years old. Brian developed into an elite junior player in Minnesota eventually achieving a college scholarship to the College of St. Scholastica where he was selected to the Upper Midwest Athletic Conference All-Conference team for both athletics and academics. Brian completed his internship at High Altitude Tennis in 2013 and soon after was awarded the Men’s and Women’s coaching job at Ripon College in the fall of 2013. Realizing his passion was in helping top junior scholars learn the life lessons required to be successful at the collegiate level and beyond, he returned to High Altitude Tennis in 2015. Brian loves photography and climbing 14ers. He also has earned the nickname “storm” for his very accurate weather reports. “I believe HAT is definitely a hidden gem on a national scale. The system that is taught here, the strength training and conditioning, and the individualized attention given to every student combines to offer a level of improvement unparalleled by other programs in the nation. I’ve not only seen our system work here but also in my time teaching in Wisconsin. The HAT method is capable of holding its own at every level of the game. The HAT Fund is a great compliment to HAT as well allowing juniors access to a program like ours that they might not have otherwise had. Each year the HAT Academy present students with awards for academic achievement named for a “trailblazer” in the field of education. Last year we were honored to have our own advisory council member Marilyn M Gordanier founder of Laurel Springs School and this year were extremely proud to be presenting the Rachel Davis Academic Achievement Award to scholar athletes who have completed the year with a GPA of 3.75 and above. What a moving speech Dr. Davis shared with us. The HF Community is thrilled to have such a passionate, thoughtful person leading us as the Chair of the HAT FUND Board. The second student honor, The DaVarryl J Williamson Leadership Award was presented to Trace Collins. Throughout the years Trace has shown the proclivity to serve as a role model with energy, enthusiasm and perseverance. He has courageously overcome daunting neurological issues. The courage shown by this young man is inspired. Mr. DaVarryl Williamson in fact inspired us all with his talk about overcoming obstacles, choosing your path, and focusing on what the future has to offer if we are willing to put in the effort and accept help from others rather than falling prey to the hardships of the past. 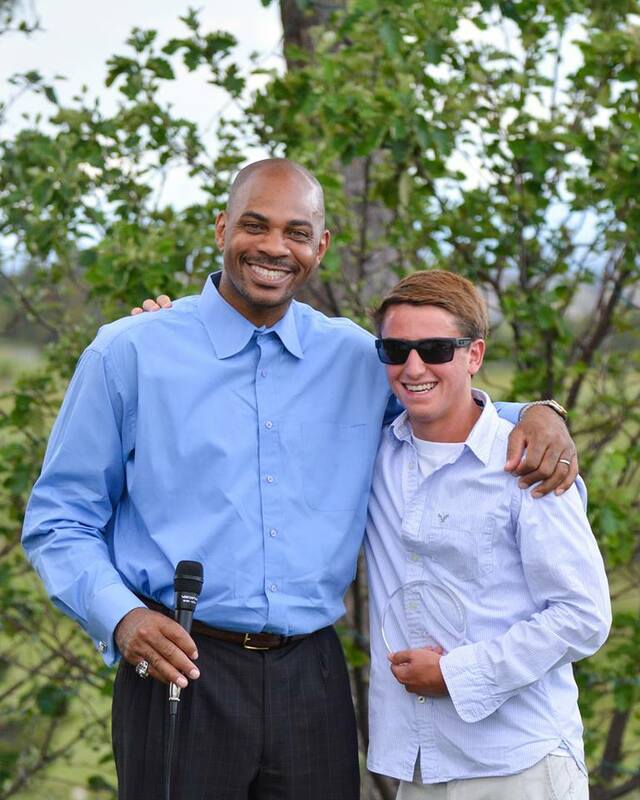 DaVarryl J Williamson and Trace Collins (with his Leadership Award). 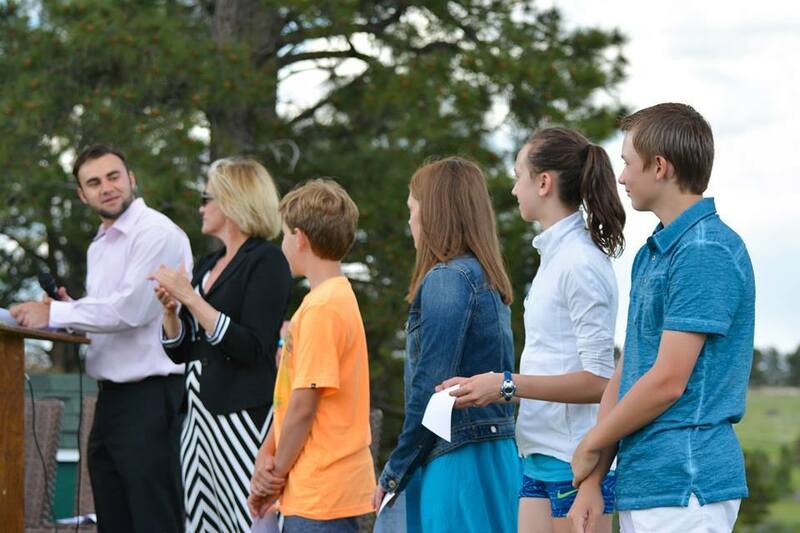 Other Speakers included Mr. and Mrs. Collins, parents of HAT graduate and award recipient Trace Collins, Michael Farrington, HAT Site Director and Lead Fitness Instructor along with Ryan Segelke, Founder of High Altitude Tennis. June 24th HF Enrichment Event: Unique Lives and Experiences/Malala Yousafzai is being held at the Bellco Theatre, Denver. We will send detailed information soon. Share your inspirational stories at #hatfundstories on Twitter, Facebook, Tumblr, google plus.